Kimi Kimonos is a luxury brand of handmade silk kimonos and nightwear dedicated to modern women and their contemporary apparel. Each piece is effortlessly designed with the utmost simplicity and elegance, leaving the wearer feeling exquisite. 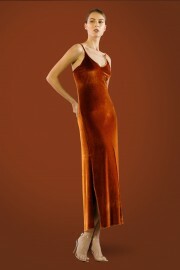 The silk material will faultlessly drape your body, creating a perfect silhouette of your figure. You can either wear their silk and lace Kimonos as a dress, or pair them with everything from T-shirts and jeans to turtlenecks and trousers. Sourcing only the best materials, Kimi Kimonos products are designed and made in Lebanon. They ensure that their garments are of the highest quality and can last a lifetime.